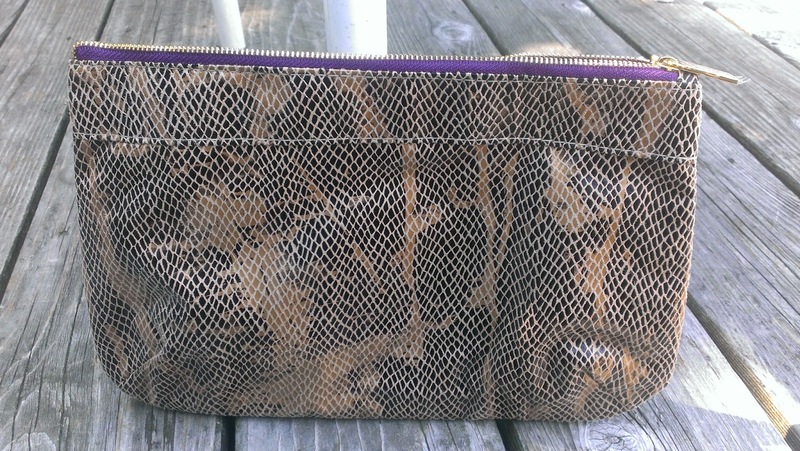 It also contains a large, kind of faux leather makeup bag. The three products that are exactly the same from the first kit are the Amazonian Clay 12-Hour Full Coverage Foundation, Brow Architect Shaper, Liner & Definer, and the Lights, Camera, Flashes! 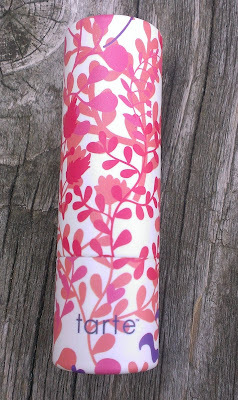 Statement Mascara. 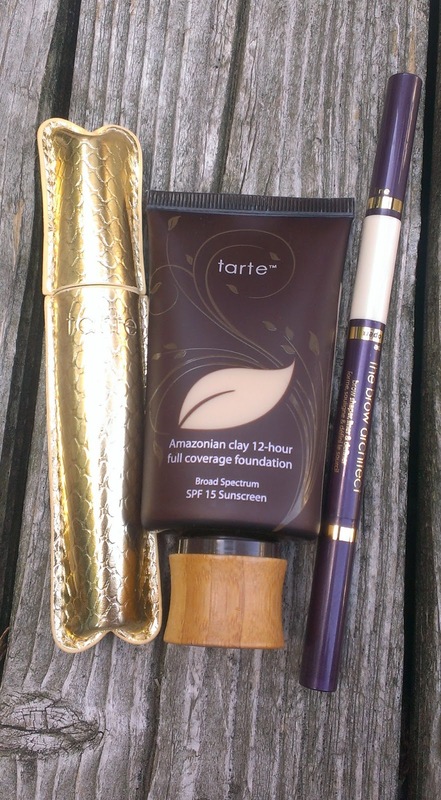 I am absolutely in love with the mascara and brow pencil, and the Amazonian Clay Foundation is a really good summer foundation for me (though I definitely recommend applying it with a sponge if you sometimes have issues with foundation looking cakey or clinging to flaky areas). You can find more information about these products in my original post and a before and after photo of the mascara on my lashes here. 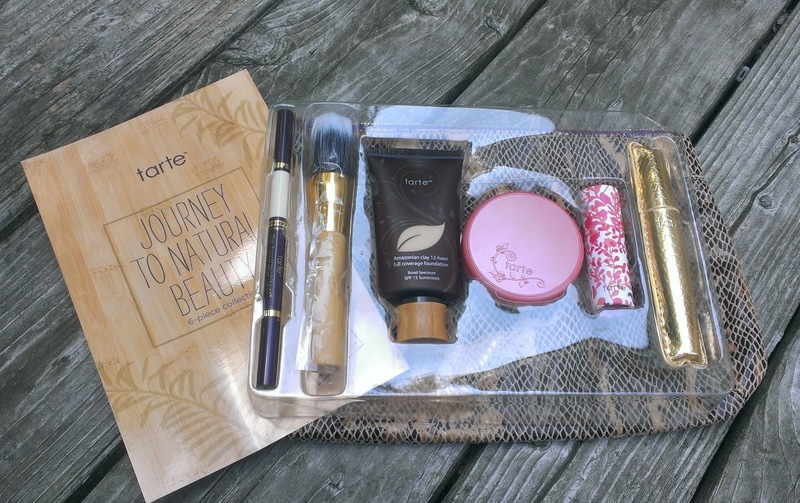 The kit also includes a duo fiber brush (that's my description -- I can't find Tarte's name for the brush anywhere in the literature.). It's pretty much your generic duo fiber brush, but it pairs well with the Amazonian Clay Blushes since they're seriously pigmented and can sometimes make me look like a clown if I'm not careful. The duo fiber brush applies the blush more sheerly so it's kind of a no-brainer. The Amazonian Clay 12-Hour Blush in this kit is in the shade Empowered. 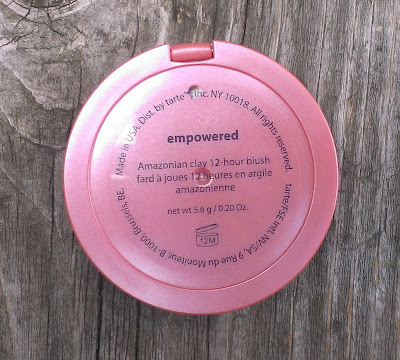 Like a lot of Tarte's blushes, Empowered is a peachy pink. 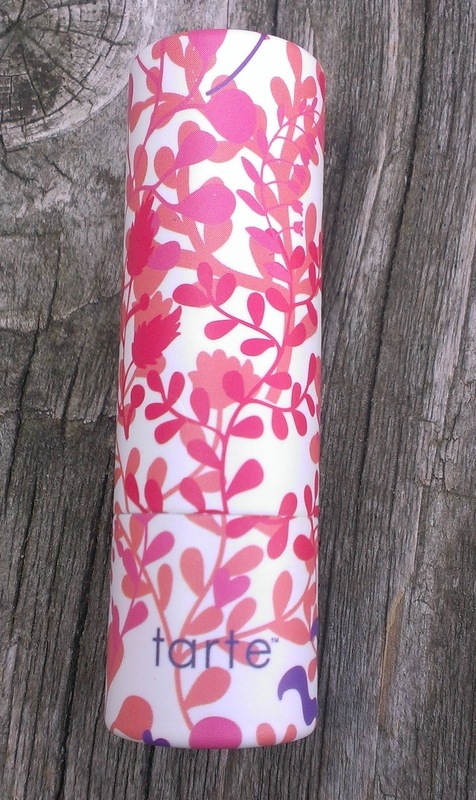 However, unlike most of the others that I have, this one definitely leans more toward the pink end of the spectrum. 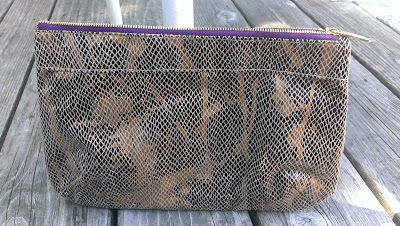 It has some shimmer, but it's not chunky or overly glittery. It gives the cheeks the most gorgeous pinky peach glow. It's only been two days, but I am officially obsessed. 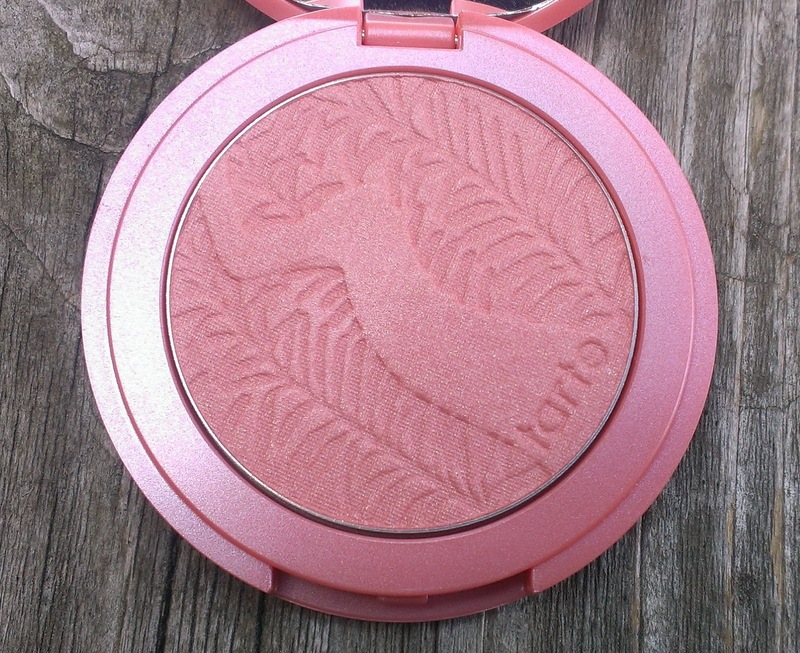 I really hope that they offer this blush on its own someday because it's such a pretty shade that would work on a variety of skin tones. 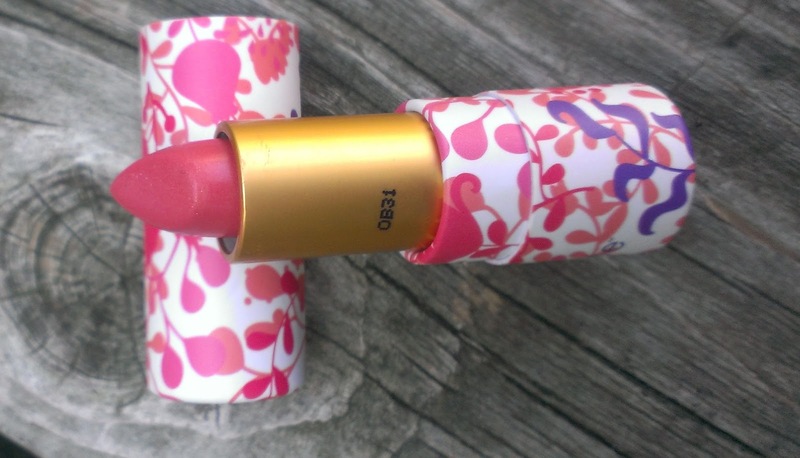 The Amazonian Butter Lipstick in this kit is in the shade Pink Peony. 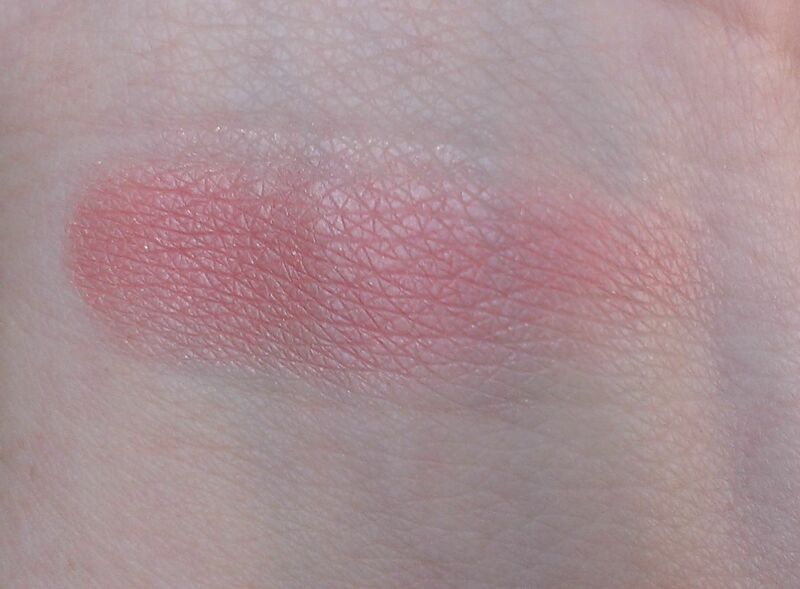 It is a light but still vibrant pink shade that's somewhat sheer. It has a nice shiny finish on the lips and is fairly moisturizing. The lipstick also has that same cool, minty taste/feel that the LipSurgence Lip Pencils do. 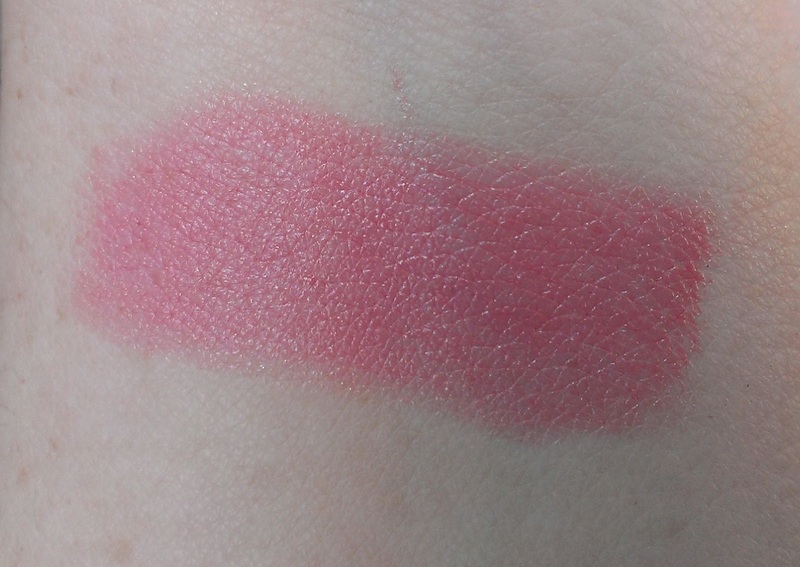 The shade is perfect for folks with fair to light skin who like the idea of a bright lipstick but can't find a shade that doesn't overpower their pale skin. If you have darker skin, it's a great everyday lip color. Oh, and on a totally superficial note, I love the colorful cardboard packaging. 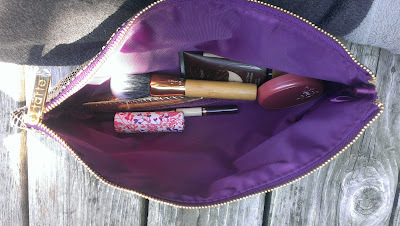 The bag that comes with the kit is nice and big so it's perfect for a travel. 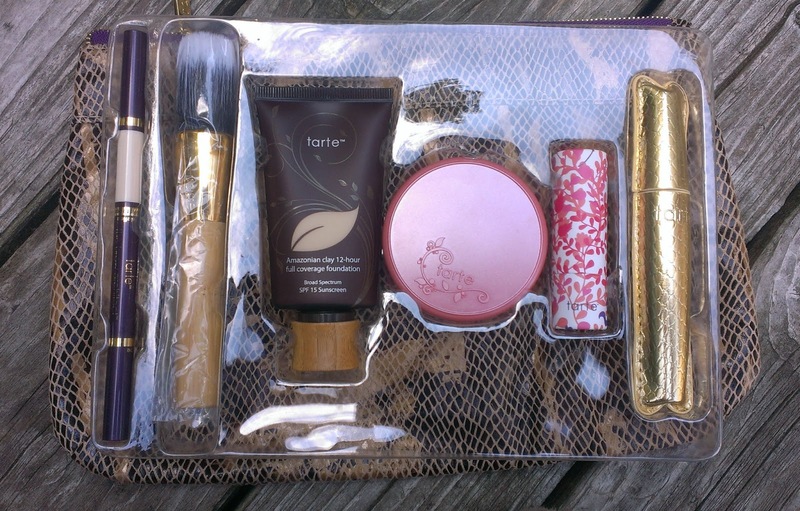 All in all, I really love this kit -- all you need for a basic, full face of makeup and the blush and lipstick are such pretty shades that are perfect for summer (and year-round, really). If you're on the fence about whether to get this installment of the AD series, I highly recommend going for it. I don't think you'll be disappointed. What new purchases are you excited about this week? Mine AD shipment should be getting here on Tuesday. I'm glad they sent the duo-fiber brush. If I remember right, they sent out an email a while back saying that they were sending a blush brush with this shipment. 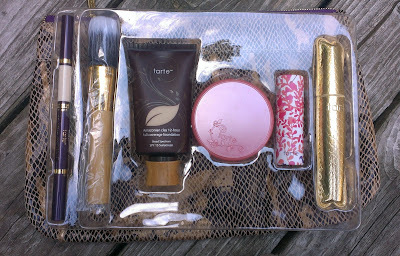 I have several Tarte blush brushes and never use them. I really like the duo-fiber brush because its size and shape make it ideal for multiple uses -- foundation, bronzer, blush, etc. And you can use it with cream and powder products so it's a good one in my book.